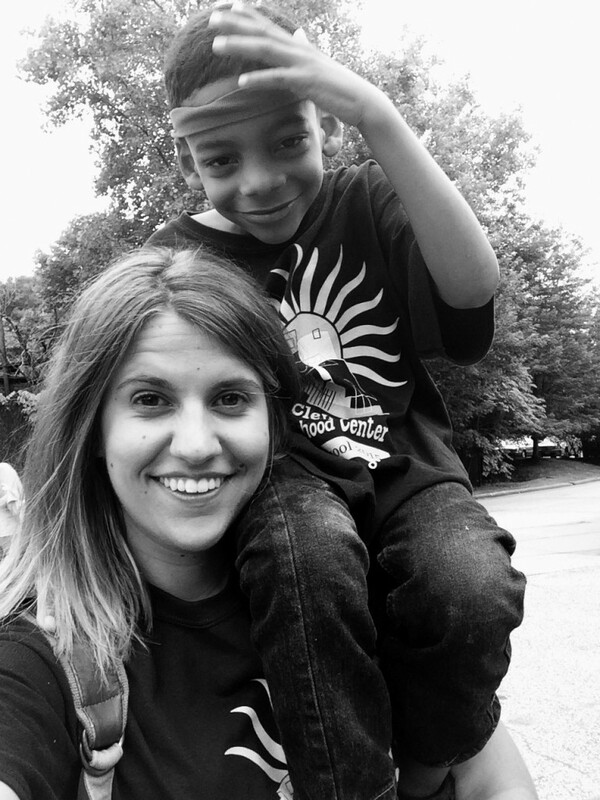 Summer 2015 was the 5th year that East Cleveland Neighborhood Centers operated the Freedom Schools program, which was created in 1995 by the Children’s Defense Fund (CDF). The model uses an integrated reading curriculum and develops engaging lesson plans and hands-on activities to accompany it. The program has gained momentum over the last 20 years, and in summer 2014, 132 sponsor organizations served 12,745 children at 202 program sites across the country. Sixteen of those sponsors were located in Ohio and they served 1,105 students at 21 program sites. Each local site hires servant leader interns (college students) who are trained by CDF to operate the program. For summer 2015, ECNC hired seven college students (from Ohio University, Cleveland State University, Cleveland Institute of Art and Bowling Green State University) who attended a 7-day long training session at the CDF Haley Farm retreat center in Tennessee. The program meets 5 days/week for 6 hours/day for 6 weeks and follows the same routine each day: The morning starts with Harambee (let’s pull together), a high energy community meeting that involves music and movement and sets the agenda for the day. Following that, students are organized into specific age/grade cohorts. Each grade level follows a CDF-developed lesson plan for 2 hours that introduces children to a collection of books that reflect their images and engages them in games and activities that promote critical and analytical thinking and conflict resolution. The morning sessions conclude with 15 minutes for independent silent reading. The reading selections in summer 2014 included Dancing in the Wings by Debbie Allen; Of Thee I Sing: A Letter to My Daughter by Barack Obama; and Mandela’s Way: Fifteen Lessons on Life, Love and Courage by Richard Stengel. The program offsets the structured morning curriculum with an afternoon of enrichment activities, including music, dance, or field trips that are related to the themes presented in the reading curriculum. The students may also engage in social action projects and rehearse for the summer finale, which is performed for parents, friends, and community leaders. All youth are provided with USDA approved breakfast, lunch and two snacks during their day, all eaten family-style together. 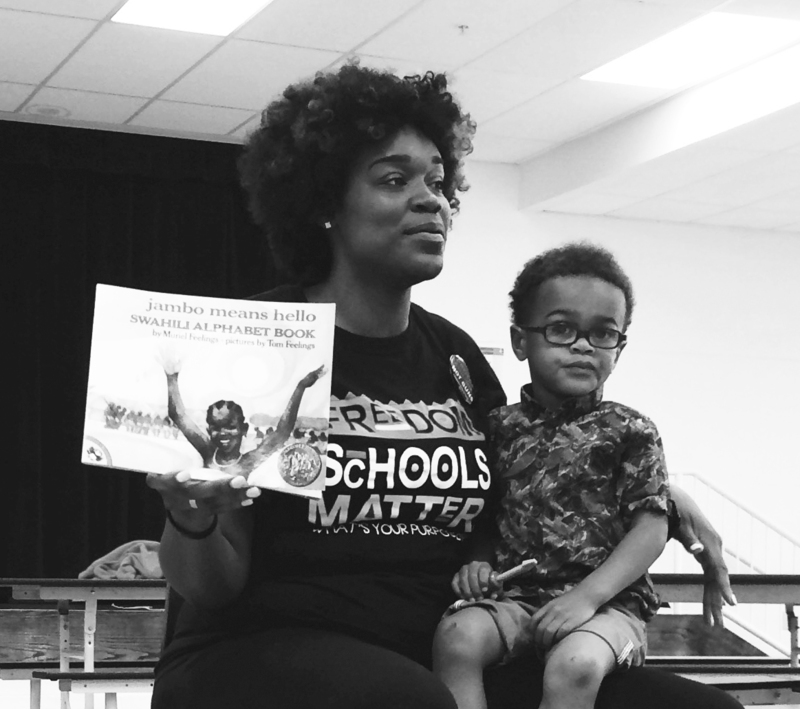 In 2013, a four-year study of children enrolled at CDF Freedom Schools sites in Charlotte, NC found that over 90% of the children maintained or gained in their reading ability while participating in the program. Locally, ECNC participated in CDF’s national assessment last year. Students were assessed before the program using the Basic Reading Inventory and at the conclusion of the program.